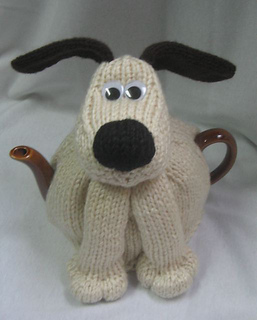 Here’s a dopey looking dog to be a new friend for your teapot. 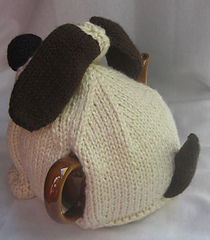 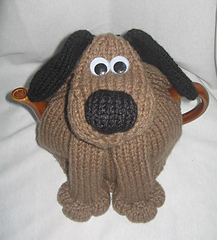 A cute and unusual tea cosy to keep – or for a gift that’s unique – you choose what colour to make him to suit his owner. 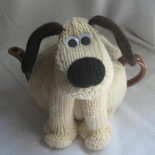 This cosy will fit a medium to large round teapot standing up to 15 cm tall. 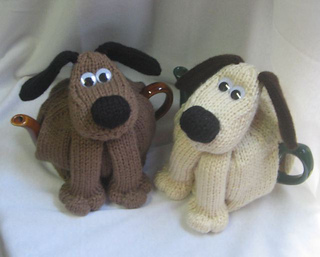 The samples were made from soft acrylic yarn (for easy washing); the body of the cosy is made with double thickness yarn for extra warmth.